The Gene and Linda Voiland School of Chemical Engineering and Bioengineering is hosting a seminar presented by Jake Gray, Ph.D. Candidate, Voiland School of Chemical Engineering and Bioengineering, Washington State University. 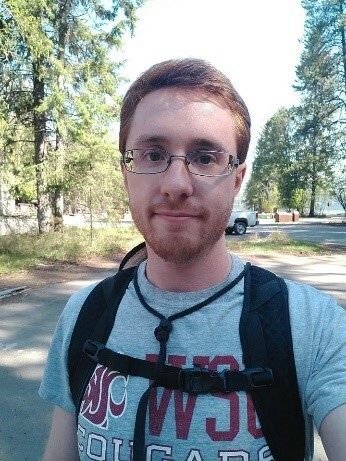 Jake T. Gray is a Ph.D. candidate at Washington State University (WSU). He completed two BS degrees, one in chemistry and one in chemical engineering, at WSU in 2015 and started graduate studies in 2016. His work on electric field reactor design began as an undergraduate in 2013 in the O.H. Reaugh Laboratory for Oil and Gas Processing Research at WSU. As an undergraduate, he has presented his work at both regional and national AIChE conferences, receiving an award for best presentation at the 2015 AIChE Pacific Northwest Regional Conference. His work was also presented in two podium presentations at AIChE in 2017 and at the American Chemical Society conference in 2018. His passion for teaching has been recognized with Student of Honor and Student Employee of the Year awards for his work as a peer tutor at Spokane Falls Community College, and a position as a chemistry, physics, and math tutor for the WSU Navy Reserve Officers Training Corps. He has continued to teach others during his graduate studies as a mentor: to high school students through the ACS Project SEED program; to undergraduates through undergraduate research experiences; and to fellow graduate students through the International Peer Mentorship program. He was awarded an NSF Graduate Research Fellowship in 2017 and will continue his work in the next year at the Navy Undersea Warfare Center in Newport, RI through the NSF Graduate Research Internship Program. Reflect for a moment on the standard “tools” in the chemical engineer’s “toolbox.” What are the chemical engineer’s wrenches, hammers, and screwdrivers? From a reaction engineering standpoint, our primary tools are system properties like temperature, pressure, and volume. All of these are functions of state and we use these “tools” to manipulate the kinetics and thermodynamics of reactions to increase efficiency, yields, and so on. One promising tool has been historically overlooked by man but is used extensively by nature to great effect: the electric field, a function of state that can be found naturally promoting catalysis in enzymes but has proven difficult to apply artificially. This seminar will take you on a journey through the nascent science of field-assisted chemical catalysis from first principles to reactor design. We will explore the physics of electric fields as they interact with reactive molecules; identify natural sources of field-assisted reactions; and discuss past and current attempts at understanding and applying this phenomenon artificially.